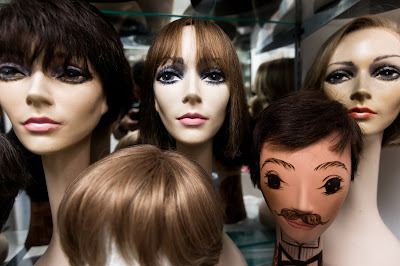 In their accompanying piece about wig-making in New York City, The New York Times tells us about other artistes, such as Nicholas Piazza. It is the story of a fascinating but dying world – one that I have wondered about for some time because I have walk past the numerous, cubbyhole shops selling human hair in midtown for years. It's great to see the writer included the deeper, political story of hair by referencing the work of Emma Tarlo and the FTC's brief regulatory guidelines (1970-1995) on labeling hair. Buy beautiful natural hairstyle jumbo Senegalese twist at best deals on Express Wigs Braids.